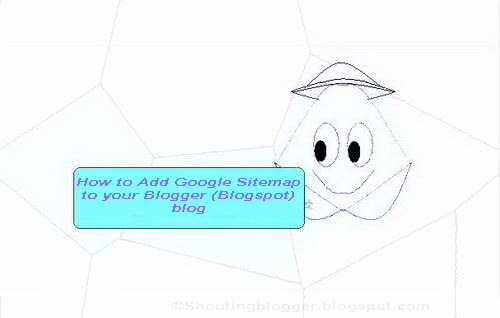 How to Add a Google Sitemap to Blogger Blog (Blogspot) . Most of the blogger didn't know that when any user create a blog via blogger.com , A blogger blog Generate sitemap with well defined Seo friendly Structure along with Seo friendly Robots.txt but Those sitemap is kind of inactive till you post your first blog post as soon as you update your blogger blog with first post your sitemap will became active . Now you might be wondering where do i find Blogger sitemap . Actually once you publish your first post in blogger blog these sitemap became active and generates in two form these are 1 ) Atom.xml 2) Sitemap.xml . as per Sitemap definition for search engine these both Sitemap.xml and atom.xml are considered as blogger sitemap. As far as blogger sitemap is considered you don't have to update sitemap in blogger , all the hard part of updating sitemap is done by your own blogger blog , Blogger sitemap keeps one updating when any Post or page updates are made to your blogger blog ( update your blog by publishing post /pages etc ) . So you don't have to worry about uploading sitemap to blogger blog / blogspot blog . Before Generating Seo friendly sitemap in blogger , You must understand what is Seo friendly sitemap? . A Seo friendly sitemap is that well defined sitemap which updates itself on any changes made to website/blog like updating website simultaneously update Sitemap link index etc . Concerning about blogger sitemap , Its does update every time you made changes to your blogger blog , So technically blogger sitemap is considered as Seo Friendly Sitemap . Both Atom.xml and Sitemap.xml in blogger are seo friendly sitemap . Submit any one sitemap to Search engine Webmaster tool for allowing search engine Bot to crawl every valid page of your blogger blog . 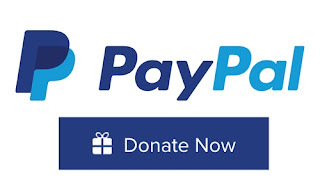 Step 1: Open your blogger blog by entering Top level Domain (www.example.com ) or sub level Domain (www.example.blogspot.com ) in your Web browser 's address bar . Step 2: Once your Full blogger blog loads up then add /Atom.xml in front of your blogger blog url . for example www.example.com/atom.xml or www.example.blogspot.com/atom.xml and hit enter . Step 3: Hence for top level domain Blogger blog " www.example.com/atom.xml " is considered as sitemap for blogger according to sitemap definition . 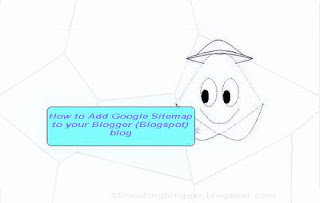 Step 3: Hence for top level domain Blogger blog " www.example.com/Sitemap.xml " is considered as sitemap for blogger according to sitemap definition .